Pro-Tech Livestock Corporation is a locally owned company that offers automatic misting systems for horse barns, livestock houses, animal facilities, residential and commercial outdoor areas, and industrial applications. Since 1989, we have made it our mission to provide safe, superior-quality fly and odor control products that give people a more efficient solution to eliminating insects and unwanted odor. Our company is committed to helping you protect your investment in the long run. We provide automatic misting systems that are effective against insects while safe for humans and animals. Let our automatic misting systems do the job while you attend to other important matters. Our automatic misting systems are the practical choice for horse barns, homes and business owners looking to end their flying insect problem. 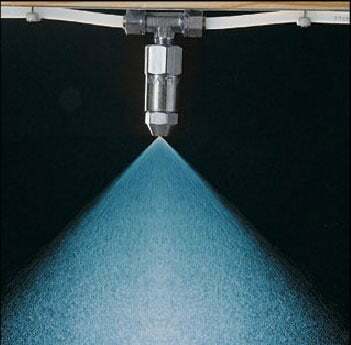 Give us a call or write us an email today to learn more about our automatic spray system.